Statistics for the 2018-2019 school year, 280 schools in the district split $64 million in Title I funding. That is equivalent to three out of every four CCSD schools shared in the federal funding meant for those with high percentages of poor children. 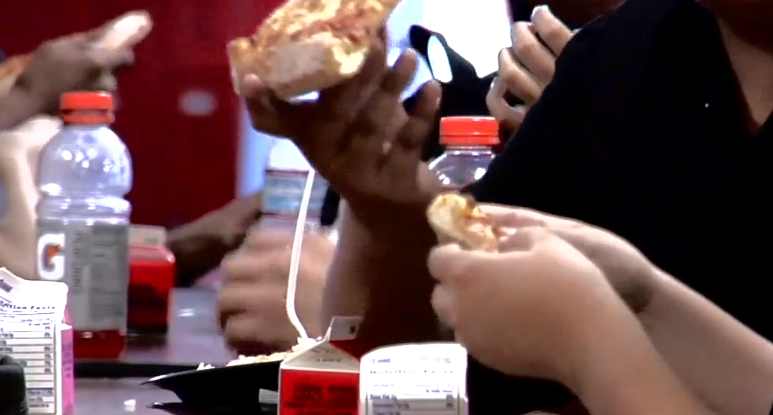 LAS VEGAS (KTNV) — You may not think much about school lunches but they are a key measure when it comes to federal funding. This as the Clark County School District is making a change to how that money is distributed next year to help some of the district's poorest schools. Statistics for the 2018-2019 school year, 280 schools in the district split $64 million in Title I funding. That is equivalent to three out of every four CCSD schools shared in the federal funding meant for those with high percentages of poor children. "We got close to $100 million from the Federal Government that is allocated based on the Free - Reduced Lunch rate," Superintendent Jesus Jara said. The federal government requires schools with 75 percent of their students qualified for free and reduced lunches to get those Title I dollars. At Spring Valley High School that meant an extra $275,000 this school year. "What we did with our money this year was focused almost entirely on class size reduction," Principal Tam Larnerd said. "We spent just under $190,000 and bought 35 teachers prep periods, which is equivalent to hiring almost 7 teachers." Larnerd will not have that extra money as the district decided to move the line for the Title I dollars from 40 percent to 60 percent in an effort to concentrate the funding on the schools with the greatest need. "Going all the way down to 40 percent, you are diluting the money," Jara said. "It is driving more dollars to communities that have been underserved and underresourced for years." Trustee Danielle Ford started her term on the school board about the same time Superintendent Jara told principals about the change and was quick to ask questions. "It was about $2.3 million taken out of my district," Ford said. Ford says she understands the change but wonders if it was too much too quick. "I do support getting this money to the schools and the kids who most need it," Ford said. "However, I don't support making that large of cuts from one year to another." A check of schools awarded Title I funding for the current year shows 280 schools received money during 2018-2019. 67 of those schools have a free and reduced lunch rate between 40 and 60 percent, meaning they will not get the money next year. Schools near the cutoff were given an appeal process. Principal Larnerd says in addition to the funding, he is losing some employees who are forced to transfer or voluntarily take a pay cut. "When a school is Title I, many of our support professionals were paid at a higher rate because they have to have additional qualifications," Larnerd said. Trustee Ford says she is hopeful that a solution is in the works that could help those school caught in the middle. "I have heard there are some plans in place to help the schools that lost the funding, so I am happy to hear that," Ford said. For now Larnerd says he is working with his school organizational team to find a solution, which for now involves not making major purchases at the end of this year to keep some money aside to help with any shortages in 2019-2020.